A clean air intake is required for your car engine to perform efficiently and last for an extended period. Though all vehicles come with a primary air filtration system that supplies the engine with some air, the air is typically for your engine to function. Upgrading your factory air filtration system will offer you more advantage and is an excellent way of improving the performance of your car. Also, the new intake will give you better fuel mileage, better horsepower, and a longer engine lifespan. We have tested several Air Intake kit on the market before recommending the K&N 63-3082 Air Intake based on its performance. Finding the best kit is not easy as we have to consider several factors like quality, affordability, product history, durability and other relevant factors. 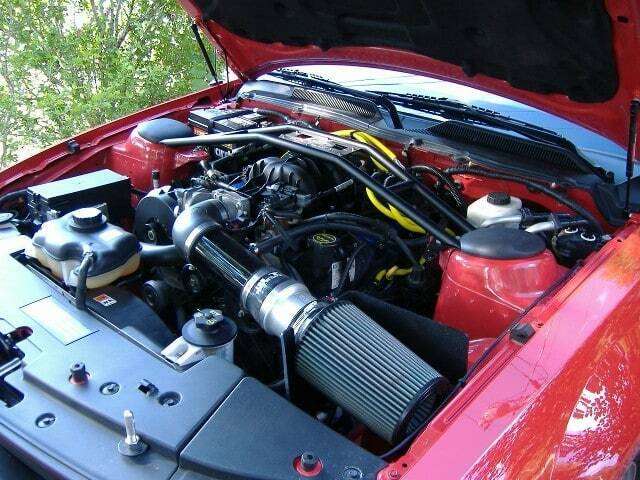 We are satisfied with the performance the K&N 63-3082 Air Intake kit offers every car tested. K&N is the leading manufacturer of air intake systems and air filter suitable for cars, trucks, SUVs, ATV and a wide range of the vehicle. Since introducing the first reusable high cotton air filter in 1969, the company has worked tirelessly to develops products that set them apart from the competition. The company’s products are always durable, unique and last for an extended period while their customer service is always available 24/7 to attend to all your question and help you with the installation process. K and N products are built to last such as their filters which is covered by a Million Mile Limited Warranty. Here is what makes their product outstanding. What Makes K&N 63-3082 Air Intakes So Good? The K&N Air Charger intake system replaces your car’s restrictive factory air intake housing and air filter. The Air charger is designed to reduce intake restriction while smoothing and straighten air flow. This allows your car to breathe in a more considerable amount of cleaner air than the manufacturer’s air filter assembly. Cleaner air in the engine means more acceleration and usable power throughout the engine’s revolutions per minute (RPM) range. The KN intake features a heat shield, and a chrome topped high-quality air filter that replaces the factory air box. This ensures the engine get a cooler and a denser air coming from the custom molded intake tube to the engine’s throttle body which guarantees more power and performance. The K&N performance air intake system air charger is the best product in the market today that offers affordable price and high performance. How does K&N 63-2556 Technology Works? The working process of 63-2556 air filter work is simple and straightforward. The filter works by eliminating airflow obstruction in the engine system. The blockage between the engine and factory air filter is strong enough to restrict even the most powerful engine of horsepower. The K&N will eliminate everything and clear the path by upgrading the factory air filter and the entire air path to the engine. This upgrade allows enough air into the engine, which transforms into power. This process begins with the oversized high-flow air filter. The oversized filter is designed to replace your stock intake box and fit your engine’s compartment using factory mounting points and factory holes. 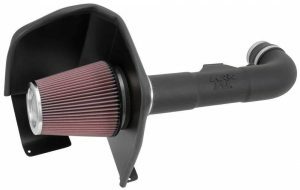 The larger filter holds and captures more dirt and debris, increasing the service life of your engine. The filter is also kept apart from engine’s high temperature by a heat shield designed to lower the heat of the air entering the engine. You may discover your vehicle to be slow or not fast enough when you need to get ahead of the crowd. By improving the air flow and combustion in your engine with the K&N 63-3082 Air Intake, your car gets faster and more responsive when you step on the gas pedal. The K&N 63-3082 provide your truck or car with enough airflow, increased throttle, increase in horsepower and torque to your vehicle. Many believe that extra power and throttle response come at the expanse of gas mileage but the K&N 63-3082 air filter offer a different result. The K&N 63-3082 improve your fuel economy and help you to safe enough money. By improving your engine combustion, you get more power out of every fuel used. The best part about the K&N performance air intake system is the simple installation. The system only requires few tools like a socket set, a screwdriver and several wrenches to install. The system should take approximately 90 minutes or less to fix either by a professional or an experienced DIY mechanic. The package comes with an instruction manual, and you can watch online videos for a better understanding on installation. The K&N air filter system is manufactured to last for an extended period. Their product is well covered by their warranty. The filter will last up to several miles before it is due for service. One K&N 63-2556 AirCharger Intake Kit (Includes all necessary accessories for installation such as hose clamps, heat shields, air intake tube, hoses, washable air filter, hardware and detailed instructional manual). Some K&N AirCharger’s will not fit on vehicles with lift kits. The K&N high flow air intakes change your vehicle stock air filter system. Buying this product offers you a lot of advantages and gives you that performance you have been seeking for. The intake function by bringing in more cooling air combined with gas to generate more horsepower, strength, better gas mileage, and increased torque. The K&N air filter is easy to install, can be used up to 100,000 miles before servicing though depending on driving condition.